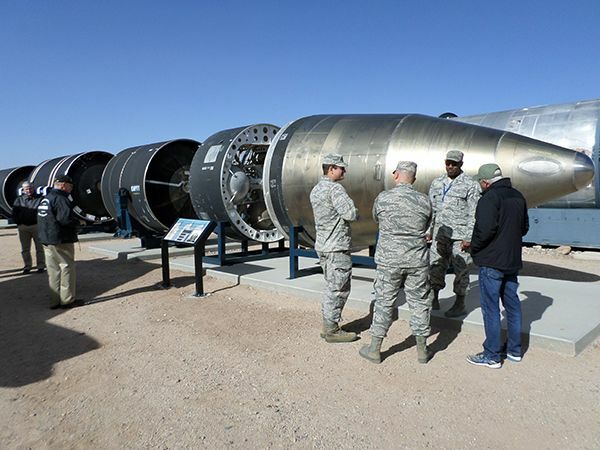 Earlier this month, Orbital ATK participated in a dedication ceremony of a Peacekeeper missile display at the National Museum of Nuclear Science & History located in Albuquerque, New Mexico. 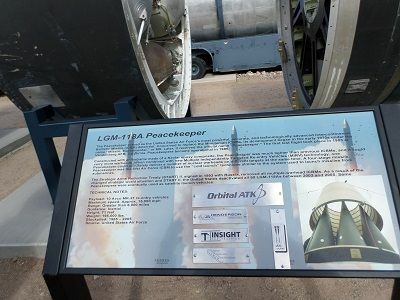 The Peacekeeper display comprises an entire inert Peacekeeper missile, displayed horizontally, with wide spaces between each stage allowing visitors an up-close view of the motors and other missile components. Orbital ATK is the lead sponsor for the new display. Orbital ATK participated in a dedication ceremony of a Peacekeeper missile display on November 17. The dedication ceremony was attended by Lt. Col. Chad Melone of the Air Force’s Space and Missile Systems Center Launch Enterprise Directorate, Alison Schuler, the museum’s board president, and several other community leaders. There were also museum volunteers who help restore the motors and assemble the display, and local companies who provided equipment and supplies for the display. Andy Haaland, director of business development for Orbital ATK’s Propulsion Systems Division, provided remarks on behalf of the company. 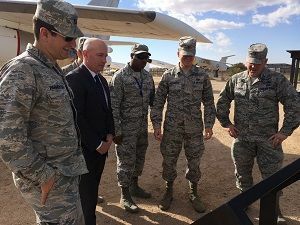 “We are honored to have played a part in the Peacekeeper program, and we are proud to continue to support our nation’s strategic defense programs today,” he said. 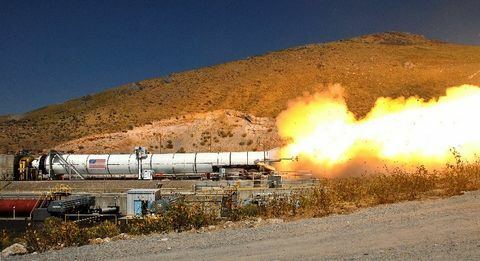 Orbital ATK’s predecessor companies in Utah manufactured the first and third stages of Peacekeeper, as well as the ordnance initiation system and flight termination system. 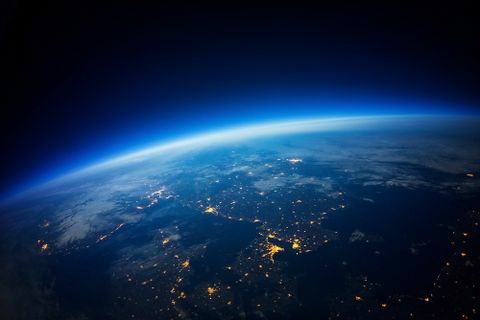 In addition, the company’s Elkton, Maryland, facility provided the launch eject gas generator and the TVC system gas generator. Left: Orbital ATK’s Andy Haaland reads the new display sign with several guests. 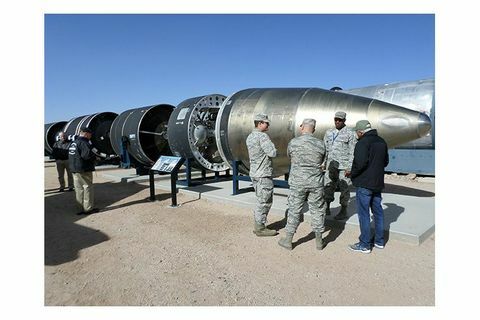 Right: Two Air Force servicemen inspect the first stage of the Peacekeeper after the dedication ceremony. Peacekeeper was in service from 1986 to 2005. 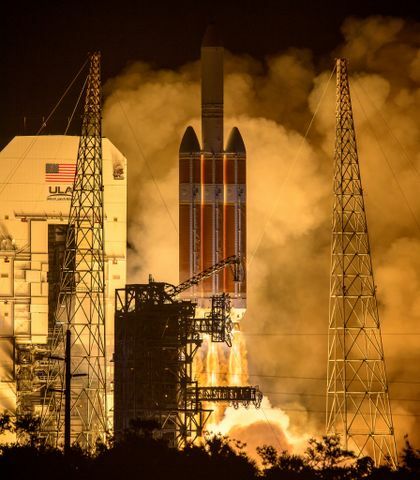 Today Orbital ATK uses decommissioned Peacekeeper motor assets in its Minotaur IV, V and VI launch vehicles supporting government space research and development activities.